Digital Altitude was developed by a former Marine named Michael Force. He is now a successful online marketer and coach to many aspiring marketers who seek to achieve success in the online world. The premise of his product is similar to most online marketing products – to help others achieve success through online marketing. However, the modules come at a premium price since each provides hours/days of learning materials designed to help those who want to succeed. As with any other digital marketing products, Digital Altitude may or may not be suitable for you. So here's a list of pros and cons for you to consider before deciding on buying the product. Digital Altitude is a high-ticket online marketing product that will require you to spend money as you go further into the program. This is not for a beginner in online marketing especially those who want to earn quick bucks in a short amount of time. Simply put, this is NOT for everyone. The product itself requires hours upon hours of training; thus, the high price. If you are also serious about learning and making extra cash through commissions, this product also allows you to do that. As long as you are a paying member, you have the opportunity to offer Digital Altitude to anyone who has the budget and strong interest in online marketing. Aspire costs either $37 or $67 per month, or you can try their $1 trial to see if it fits your needs. It is for anyone who wants to start an online business or take their existing one (offline) into the online world. You will learn how to improve website conversions and traffic strategies. Base will cost you a one-time payment of $397 and it includes 12 modules divided into 3 sections. This package will help you learn goal-setting, business planning, branding, web and social presence, and optimizing your online business. Rise will cost you a one-time payment of $1,497 and it includes 19 modules divided into 5 sections. This package will help you learn how to make more sales from the right mindset, create epic sales copy, and how to manage your MLM business. Ascend costs a one-time payment of $6,997 and includes 3 sections. You will learn how to create your personal brand, drive traffic to your business/site, analytics, video marketing, create quality content, and outsourcing tasks, among many others. Peak will cost you a one-time payment of $11,997 and it consists of 5 sections. In this package, you will learn how to scale your business, make more money with less effort, apply the latest sales strategies, and outsource and automate your business, among many others. Apex will cost you a one-time payment of $19,997 and it includes 7 sections. You will learn how to create numerous income streams, boost your existing income, minimize your business risk, and become and stay wealthy. This package basically includes motivational stuff and practical recommendations. 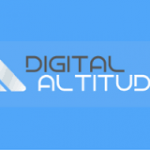 Digital Altitude offers phone and email support to members. You will find their phone number and email right at their website (footer area). Alternately, you can use their “Help” box for topics you would like to know more about. This also has a “Contact us” button in case you need to get in touch with their support team with your concerns. Please feel free to comment, provide feedback or ask a related question as I'd be happy to respond. Hey there…..i thank God i have seen this review before i decide on anything. It is really hard to know exactly what is inside the program unless you fall on the right information from someone who have used the program before. After reading all the article i came to realise that there were a lot of truth i didn’t know . Your welcome 🙂 Thanks for taking the time to visit. I’m glad your got something from reading my articles. Hi there. I just finished reading your review of Digital Altitude and thought I would just drop you a quick line or two to offer my thoughts. I have seen this training on a few occasions but have never really looked into it until now. Your review is very good and straight to the point. This article has given me all of the answers that I was looking for. I know that this product puts itself within the high quality, high price bracket but this seems very expensive. I guess the aim would be to earn enough to pay for the next level up. But at what point is any training that doesn’t guarantee results worth this much money? Even $397 to learn goal setting seems very high. I would be interested to learn just how many people have been successful with this training. I think I would be more inclined to join if there were some kind of guarantee of success but with anything like this there never is. 1. 24/7 on call support (without costing an arm and a leg) to help you grow your business without downtime which can ultimately cost your business. You want to be able to get remedies and answers quickly so that your business is not left out of pocket because of it. 2. The training must be suited to all levels, whether you are a newbie to online business and have no clue or whether you are already established, or a seasoned pro. 3. You should have all the experts (not just one), the seasoned pros, the ones who have made all of the mistakes to help when you grow your online business. And you want up-to-date information, instead of information that no longer is applicable and costs your business money. For me Wealthy Affiliate provides all of the above and will steer you down the path of success as long as you are willing to put the work in. I like how informative your article is. I was looking to try out Digital Altitude but was not too sure whether it is a good choice or not. The great thing about this program is that it provides good support and high quality products as stated in your article. I would consider trying it soon. Thank You. Thanks for stopping by and leaving a comment. I’m glad you found the article informative and has helped you to consider your options. I wish you all the best for the future. The colors are very eye catching. The basic price for Aspire appealing but the ultimate price was less attractive. I support our military highly so I like that this company is run by a Marine. The rating is decent as well. Excellent job on listing out the pros and cons, this helps the person decide whether this is a worth while investment. Earning a commission only if you are a paying member is a caution sign so to speak. I can understand from the owner’s point of view that he would want serious employees but for a member it may not be worth it and soley depends on the individual like you stated “this is not for everyone”. The only affiliate marketing I have ever heard of is WA. Thank you for a thorough review. Hi Christine, thanks for calling by and for your comments and the compliments, it’s much appreciated. I just fished reading your Digital Altitude Review. I’ve come across a few of these companies. You can make money with some of these guys if you know what you’re doing and have the money to get in. For all you new guys out there. I suggest signing up with Wealthy Affiliate. Some of these guys are legit but you need Affiliate Marketing experience or you will lose your money. You can see how much it costs to get into some of these programs. The Aspire and Base package costs seem to be reasonable, but beyond that, how can these fees be justified. This is certainly not a course for the beginner, as its a lot of money to lose if you are unable to make a sale and if you are more advanced in online marketing, then surly nobody would pay almost $20,000 dollars for information they could obtain for a lot less, maybe even for free. If anybody is looking for genuine online training at an affordable price, then Wealthy Affiliate is the place to be. Hi Daniel, Thanks for visiting and also for your comments, it’s true that most people would take the most affordable route, and indeed it’s not for everyone! You would need to be very conffident that you would recoup what you paid at least i.e. 20k or be in a position where it wouldnt hurt you to lose that amount.